Benjamin and Sampson Hancock. 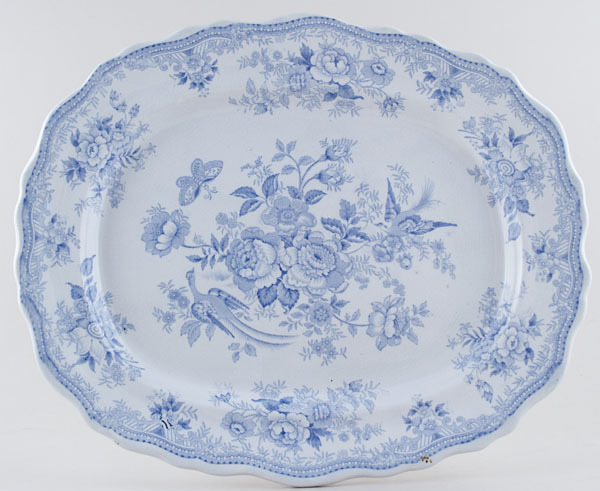 Fabulous large dish with wavy rim. Backstamp: Asiatic Pheasants B & S Hancock. Crazed with a couple of very small areas of discolouration on the rim, overall excellent condition.